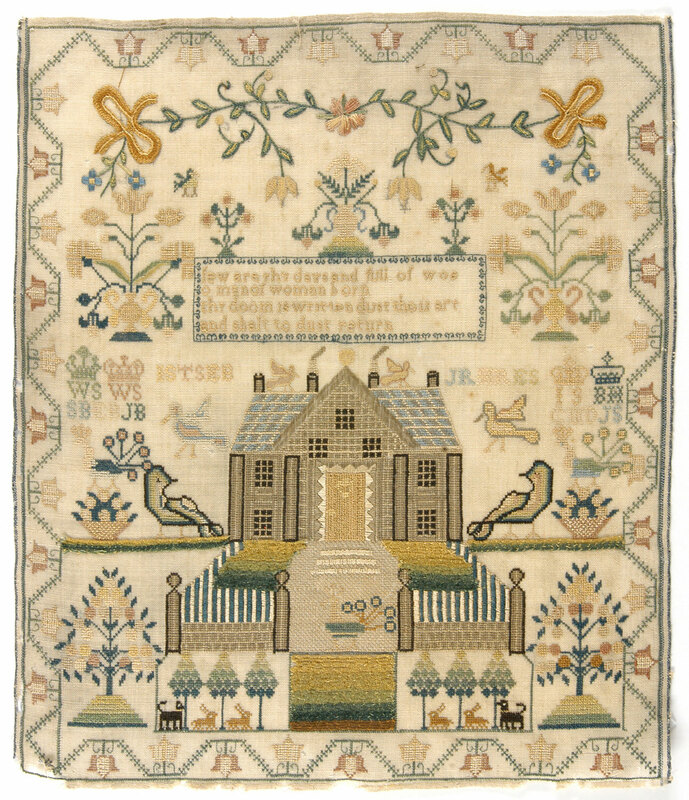 Many of the verses found on eighteenth- and nineteenth-century samplers reflect on the fragility of human life, underscoring Britain’s high mortality rate at the time. This sampler’s passage is from the Scottish Psalter, the primary hymnal for the Church of Scotland from the sixteenth through the nineteenth centuries. The stylized peacocks that flank the home are typical of nineteenth-century Scottish samplers. A bird native to Asia, its presence in Scotland is attributed to the strong trade links between Scotland and the Netherlands in the 1700s and 1800s. The Dutch encountered peafowl when they began to trade with Asia in the late 1600s.